Over 820 Northern Beaches students celebrated 10 years of caring for Little Penguins through the Zoo’s Project Penguin program. Construction of Taronga Zoo’s new global centre for conservation science and learning for researchers, students and visitors will proceed after the Department of Planning and Environment signed off on the development, Environment Minister Mark Speakman announced today. The $30.7 million Taronga Institute of Science and Learning will allow Taronga to build on its current world-leading education and research programs. Mr Speakman said the Institute would work with more than 10 universities across a range of scientific disciplines. “The Institute will enable Taronga to expand on its strengths in science and education, increase the zoo’s ability to undertake leading research and inspire individuals and communities to secure a future for wildlife,” he said. The zoo’s existing education facility will be demolished and a new three-storey centre built within the zoo. The Taronga Institute of Science and Learning will be built to an environmentally sensitive design that allows the building to step down the site, retaining a similar height to the zoo’s existing Education Centre. The plans were publicly exhibited in January and February 2016 and construction work is scheduled to start in October this year. Opening in 2018, the Institute of Science and Learning is part of the zoo’s Centenary Revitalisation Plan and is jointly funded by the NSW Government and the Taronga Conservation Society through donations to the Taronga Foundation. Today, over 150,000 students participate in Taronga education programs including more than 100,000 students whose experience includes a visit to Taronga Zoo. Taronga also has the largest zoo-based conservation science team in Australia and works in close partnership with Government agencies and the international zoo and conservation community to protect our natural environment. Open offices for life science, HR and education on the first floor level as currently located at the Education Centre. The existing lecture theatre and wildlife encounter experience area for students will be retained and upgraded. The existing courtyard will also be revitalised for improved recreational use for students and staff. In line with the current ZooSnooz overnight ‘sleepover’ program for school children, there will be provisions in the ground floor level classrooms to provide a unique opportunity for school students to sleep over at the Zoo. There will be the additional opportunity to experience the wildlife of the Zoo with a behind-the-scene tour and observe and learn about animal behaviour during the evening hours. Unique in the Southern Hemisphere, the Taronga Institute will build on Taronga’s existing strengths in research and education and increase its capacity to help secure a shared future for wildlife and people. For this cleanup Wanderlightly & Living Ocean are proudly supported by the Boathouse at Palm Beach and will be following a slightly different format. At 9am the Boathouse has ever so generously offered to put on Bacon & egg rolls & coffee when you bring your own reusable cup in - but you must bring your own cup for the free coffee! You will need to register with the Facebook event as numbers are limited for the coffee/breakfast combo. Helpers however are not!! Over breakfast and coffee we will be giving a talk on ways you can make living with less plastic easier so come armed with those tricky questions! At 10am we will continue with our regular cleanup & at 11am the tally counting will begin. A bucket or bag to collect trash in and a pair of gloves to keep your mitts safe – we have a very limited amount of these so its handy when you bring them. Representatives from the town of Bulga will be outside the Baird Government’s ministerial offices to communicate directly to decision makers about the injustice of their village being sacrificed for Rio Tinto’s coal mine at Warkworth. At midday, a delegation from Bulga will meet with Heritage Minister Mark Speakman’s office to ask him to intervene to protect Wallaby Scrub road (adjacent to Bulga) from being mined. Yesterday, residents of the of the Hunter Valley village of Bulga travelled to Sydney to establish ‘New Bulga’ in the Domain, establishing a new village behind NSW Parliament to symbolise the loss of their community to the impacts of coal mining. Wallaby Scrub Road forms part of the Great North Road running from Sydney to the north beyond Warkworth village. The road holds both State and Federal Heritage Status and warranted establishment of a protection and preservation organisation funded by both State and Federal Governments and named “Convict Trail Project” (CTP). Bulga residents and supporters will also be seeking a meeting with roads Minister Duncan Gay’s office. Minster Gay could be the only person left in NSW with an opportunity to minimise harm caused to the Bulga community. As Minister, he has the power to uphold the will of the community and of Singleton Council who have voted not to sell – Wallaby Scrub Rd – to Rio, which they then want to close and mine." The temporary Bulga village, in the heart of the Sydney CBD, included town signage, hay bales and a ceremony to establish ‘New Bulga’. After fighting the proposed Rio Tinto Warkworth coal mine expansion for more than six years, the residents of Bulga have now exhausted all legal options to stop the project. Bulga residents previously proved in court that the Warkworth project should not have been approved, after its initial approval in 2012. This victory was snatched away from them when Rio Tinto and the NSW Government joined forces to re-submit and approve the development application. In approving the project for the second time, the NSW Government stripped Bulga residents of “third party merits appeal rights”, removing their legal right to challenge the merits of the approval in court. This denial of the community's legal rights is now standard practise in NSW mine approvals. Expanding the Warkworth coal mine will dramatically reduce the quality of life in Bulga village, blanketing the community with air and noise pollution 24 hours a day. Bulga is likely to wither and die, as other Hunter communities that have suffered the same fate, including nearby Warkworth – a once bustling and now deserted community. The NSW Planning Assessment Commission advised in March 2015 that Bulga may need to be relocated due to the mine expansion. John Krey, President of the Bulga Milbrodale Progress Association, said: “We twice proved in court that this coal mine would do more harm than good. Not just for us in Bulga, but for NSW. But our victories were cruelly snatched away from us by an unfair, unjust system that values coal above all else. “The system is broken. The rules are rigged against us. Communities like Bulga have been stripped of their legal rights to challenge mine approvals, no matter how bad they are. There is no recourse to justice for anyone whose life – or entire community – has been ruined. It is deeply unjust,” said Mr Krey. A leaked Queensland Government report estimates that taxpayers are set to foot a massive bill of $3.2 billion in coal mine rehabilitation costs because the current financial assurance system is not covering the full cost of mine rehabilitation. The report shows that not only are the financial bonds held by coal companies completely inadequate to rehabilitate sites, but that on-ground progressive rehabilitation is in decline. Rick Humphries, Coordinator of Lock the Gate's Mine Rehabilitation Reform Campaign, said this represents a scandalous failure of successive Queensland Governments to regulate big coal, who made huge profits during the boom and are now leaving taxpayers to pick up the bill. “This leaked report reveals a systemic failure of coal mining companies to provide enough financial assurances to clean up after their mining operations,” Mr Humphries said. “The report is a terrible indictment on the Queensland Government, who have failed to properly protect taxpayers and who have allowed big coal to rort the rehabilitation system to the tune of $3.2 billion. “This is just the tip of the iceberg. The report didn’t cover other commodities like copper, lead or zinc. That’ll be billions more. “When mining companies dodge their clean up responsibilities, we’re all left to pay more, and our community pays the cost of poorer schools and underfunded hospitals. “This report shows that in the economic impact of these inadequate financial assurances just for coal is equivalent to 6.5% of the Qld government’s annual revenue, and thus a massive potential hit to health and education budgets. “This report confirms our fears that the system of financial assurances and coal mine rehabilitation in Queensland is completely broken. “We are calling for urgent and far-reaching legal reforms by the Queensland Government to immediately require full, upfront financial assurances from mining companies and to finally force big coal to rehabilitate their sites, instead of allowing them to cut and run” he said. The report is titled ‘Targeted Compliance Programme Report on Financial Assurance for Queensland Coal Mines (TCP-009)’. It was written by the Department of Environment and Heritage Protection and is dated 29 January 2016. The Report was designed to test the sufficiency of financial assurance (FA) held from coal mining companies for cleaning up their operations against the rehabilitation liability of QLD coal mines. Financial assurances were examined in detail for 15 Queensland coal mines, which equate to 28% of coal mines in the State, and the results of that analysis were extrapolated to the rest of the industry. 4. Penalise companies who breach rehabilitation requirements. Cape Solander Whale Migration Study volunteers at Kamay Botany Bay National Park have wrapped up another year of vital citizen science work in monitoring whale numbers during their northern migration, recording the highest ever number of humpbacks passing the area since the count began in 1997. A total number of 3032 humpbacks were counted heading north past Cape Solander by the volunteers this year, a 20 per cent increase from last year's 2513. The official count began on 24 May and finished on 31 July. National Parks and Wildlife Service (NPWS) Wildlife Management Officer Geoff Ross said the number of whales passing the NSW coast usually peaks in the last week of June or first week of July, and the volunteers were vital in verifying the increase in the number of humpback whales migrating north this year. "Hundreds of whales have already been sighted off the NSW coast in recent weeks and the Cape Solander Whale Migration Study volunteers have been busy observing and recording the number of whales that pass by Cape Solander during the annual northern migration," Mr Ross said. "We're already starting to see a number of Humpback whales heading south many travelling with calves so the sea off NSW is a very busy place at the moment. "I am very thankful for the work that the volunteers conduct here at Cape Solander as each year they report on the number of whales, particularly humpbacks, and their effort is being rewarded by seeing an ever increasing humpback population, which is excellent news for these majestic creatures as well as whale watchers. "I congratulate the volunteers for their valuable contribution to whale conservation and look forward to working with them for many years to come." The volunteers provide scientific data on southern right whales which is also incorporated into federal threatened species recovery planning and provides the community with cetacean statistics for NSW. Mr Ross said that a large proportion of the estimated 24,000 humpbacks made the journey north this year and was growing annually. Mr Ross also urged people who want to see these magnificent animals from the shore to get out to a national park before the northern migration (which is closer to the coast) ends. Vessel-based whale watching will continue until October. Humpback and southern right whales are the most commonly sighted whales along the NSW coastline as they head to the warmer waters off Queensland to breed, before making their return journey south to Antarctica. For the most up-to-date whale sightings near you and to log your own, download the free Wild About Whales app. Visit www.wildaboutwhales.com.au for all your whale watching information this season. NSW is implementing a network of strategic fire trails. The network is being developed with a focus on providing access for firefighters during bushfires and hazard reduction. It requires the involvement of local bushfire management committees, including representatives from NSW Rural Fire Service (NSW RFS), police, councils, national parks and other agencies. Minister for Emergency Services David Elliott said NSW had experienced devastating bushfires in recent years and an integrated network would assist hazard reduction. “We are giving firefighters the powers they need to create an improved and integrated fire trail network across the state,” Mr Elliott said. Work on a register of existing trails is underway. All fire trails will be in place in three years. 'Please note that the modification proposal referred to the Commission for determination no longer includes the use of cyanide for on-site ore processing and the enlargement of the tailings storage facility. The Nancy Hillier Memorial Lecture, organised by UNSW and the City of Botany Bay, will recall the feisty campaigner's fight for justice. Intimidation and even death threats failed to deter community activist Nancy Hillier and she was still campaigning in her late 80s. Nancy Hillier OAM was a community activist and environmental warrior who fought passionately for justice for local residents, the community and the environment. From the 1970s, Mrs Hillier led opposition to the expansion of Port Botany and Sydney Airport, fought residential and industrial overdevelopment and campaigned for an end to groundwater contamination by heavy industry. She also made significant contributions to legislation, such as the way environment impacts are assessed. “We have a right to complain about improper planning. A country’s wealth must be assessed by the living conditions of its people and not be judged by how many millionaires it can boast,” Mrs Hillier once said. Intimidation and even death threats failed to deter Mrs Hillier and she was still campaigning in her late 80s. She died in 2013 aged 89 but her legacy will live on thanks to an annual public lecture organised by the University of New South Wales (UNSW) and Botany Bay Council. The annual Nancy Hillier Memorial Lecture, conceived by UNSW’s Faculty of Arts & Social Sciences, will recall Mrs Hillier’s work and passion while providing an avenue for others to debate issues and focus on community participation to achieve social objectives. The inaugural lecture at State Parliament on 10 August will feature Johanna Garvin, Tanya Balakumar from UNSW, Ron Hoenig MP, Member for Heffron, and Mehreen Faruqi MLC, Greens NSW, discussing the future of citizen participation. The moderator will be Associate Professor Paul Brown from UNSW. The panel discussion will be preceded by a short film on Mrs Hillier’s life and community work by filmmaker Jane Castle. Ms Castle made the 2002 documentary Sixty Thousand Barrels, about the campaign Mrs Hillier led to compel Orica to move a stockpile of the toxic waste hexachlorobenzene (HCB) from the Botany Industrial Park. In late July the multinational chemical company applied to the Federal Government to transport 135 tonnes of the carcinogenic pollutant, which has been banned in Europe since 1981, to a facility in Finland. In 2014 France rejected an application to send the waste there. Researchers from James Cook University and Charles Darwin University are using the cutting-edge eDNA (environmental DNA) technique to look for the critically endangered largetooth sawfish in remote northern Australia. eDNA sampling involves collecting a small sample of the water and analysing it for traces of the DNA of a target species. It has been made possible by huge advances in the field of DNA collection and analysis and is considered a revolutionary technology in the natural sciences. JCU's Professor Colin Simpfendorfer said researchers first sampled water from different aquaria and were able to correctly tell which contained largetooth sawfish, before trying the technique in the wild. Researchers say largetooth sawfish may now be extinct in 50 countries, with northern Australia one of the last places where they can be reliably found. Traditional methods to search for sawfish, such as fishing surveys, can be expensive and time-consuming. To test the approach in the wild, the research team sampled known largetooth sawfish habitats in the Daly River, Northern Territory. 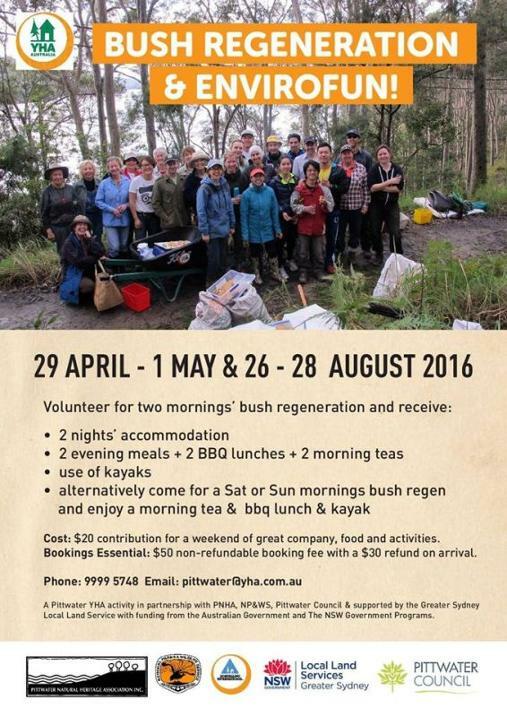 The team partnered with Malak Malak Traditional Owners and Indigenous rangers. "With plenty of sawfish habitat, Malak Malak country was the perfect place to test the new tool in the field," says Dr Peter Kyne of CDU. Professor Simpfendorfer said the technique was mostly accurate in waterholes but to date disappointing in flowing rivers. "It's not a big problem, this is very much a trial phase and it will be solved quite easily given some more time." He said the eDNA techniques were rapidly evolving and were a huge advance for species conservation. "Sawfish are globally distributed and we don't even know if they still exist in many countries. Applying the eDNA approach globally will enable us to rapidly find threatened populations and prioritise their protection." Professor Simpfendorfer said the eDNA technique was not limited to fresh water or conservation applications. "There is a big push to roll it out globally. It has many other potential uses, such as detecting invasive pest species at ports." He said within five to ten years it's hoped that all eDNA analysis will be able to be completed in the field, with no need to take samples back to the lab. The research project was funded in part by the Australian Government's National Environmental Research Program. Research voyages in 2016 have already discovered undersea volcanoes, investigated climate change, mapped tectonic plate boundaries, foundrare deep-sea creatures and provided important information to monitor changes in our ocean environment. Volcanic voyage of Investigator from CSIRO on Vimeo. On 8 August 2016 the Minister for Industry, Innovation and Science, the Hon. Greg Hunt, delivered the Government’s vision for science in Australia, at an address to the National Research and Innovation Alliance. Outlining Australia’s proud science history and the role science has played in our society, the Minister stressed the need to further improve young Australians’ performance in science, technology, engineering and maths (STEM). Skills taught by these subjects, such as problem solving, are used in a variety of occupations. The Minister also outlined the Government’s commitment to Big Science, critical research infrastructure and our science and research institutions, including the CSIRO. The Minister also reaffirmed the Government’s commitment to delivering the National Innovation and Science Agenda. For more information, read the Minister’s speech. Did you know that in the next decade an estimated 75 per cent of jobs in the fastest-growing industries will need skills in science, technology, engineering and mathematics (STEM)? However, enrolment in STEM subjects has been in steady decline in Australia. The National Innovation and Science Agenda is providing more opportunities for Young Australians to get the skills they need for the jobs of tomorrow. How can the Agenda help young Australians? An estimated 75 per cent of jobs in the fastest-growing industries in the next five to 10 years will need science, technology, engineering and mathematics (STEM) skills and almost all jobs will require ICT literacy. Leveraging off the Australian Curriculum: Digital Technologies, this initiative will ensure both students and teachers have access to the tools they need to enhance their digital literacy to form a workforce skilled to meet Australia’s innovation agenda.  Online computing challenges available nationally for Year 5 and 7 students.  ICT summer schools for Years 9 and 10.  Annual ‘Cracking the Code’ national competition for Years 4 to 12.  Support for teachers to implement the Digital Technologies curriculum through online learning activities and expert help.  Support for school leaders to drive digital literacy and partnerships to bring scientists and ICT professionals into the classroom. New initiatives will commence from 1 July 2016. Almost $65 million has been allocated for 10 initiatives under the Inspiring all Australians in Digital Literacy and STEM measure as part of the National Innovation and Science Agenda. The aim of these 10 initiatives is to increase the participation of Australian children and young people in Science Technology Engineering Mathematics (STEM) and improve their digital literacy. There will be a focus on tackling the digital divide by ensuring that students most at risk of falling behind in the digital age are given opportunities to participate and engage in early childhood, primary and secondary school settings.  $4 million for Froebel Australia to expand their existing programme, Little Scientists, aimed at engaging young children in fun experiments and other activities.  $4 million for the Smith Family to expand and improve on their existing programme, Let’s Count, designed to engage parents and their children in the early concepts of mathematics.  $6 million to develop and disseminate a series of play based apps called Early Learning STEM Australia (ELSA). These apps will foster an interest and appreciation for science and mathematics among young children and their carers.  Peripatetic (travelling) ICT Teachers: specialist ICT teachers will be deployed to schools for up to a term to provide intensive in class support. These specialists will deliver face-to-face training to teachers in disadvantaged schools, providing up to one term of in-classroom support for several hours a week. Additionally, the specialists will leverage off existing partnerships made between schools and ICT professionals as well as facilitate new ones.  ICT Summer Schools: secondary school students with an interest in computer science will be targeted, especially girls and other groups typically unrepresented in this field to encourage them to aspire to careers that harness such skills. The summer schools will be held over three days with follow up mentoring and a 6 month recall, rotating each year across Sydney, Brisbane, Melbourne and Adelaide. Up to 60 students will participate in summer school at any one time. A tender for delivery of this initiative is expected to open in May.  Cracking the Code: an annual celebration of coding to be held as part of National Literacy and Numeracy Week each August. Digital literacy is not just about computers – the skills acquired through coding activities are critical in supporting general literacy and numeracy skills. Through fun ‘real world’ activities students and their teachers will explore the wonderful world of code. A tender for delivery of this initiative is expected to open in May.  Grants to enhance implementation of the Australian Curriculum-Digital Technologies: principals and ICT leaders will be able to apply for modest grants to facilitate implementation of the new digital technologies curriculum. Up to 100 grants will be funded each year over two consecutive years. Grants will be awarded on a competitive basis with priority given to those projects that demonstrate genuine innovation, sustainability and positive educational outcomes. Schools may choose to partner together and share a grant. Detailed grant guidelines will be published on the Students First website later in 2016.  Computing challenges for years 5 and 7: a series of structured, graduated and fun computing activities and challenges will be made freely available to all students in years 5 and 7. This will be delivered as an online series of structured, progressive teaching and learning activities that are run by teachers, during class time. The challenges will complement and support implementation of some of the most challenging aspects of the digital technologies curriculum. A tender for delivery of this initiative is expected to open shortly. Funding for all of the above initiatives commences on 1 July 2016. The terms leucistic and leucism are derived from medical terminology (leuc- + -ism). The stem leuc- is the Latin variant of leuk- from the Greek leukos meaning "white". Leucism is a condition in which there is partial loss of pigmentation in an animal resulting in white, pale, or patchy coloration of the skin, hair, feathers, scales or cuticle, but not the eyes. Unlike albinism, it is caused by a reduction in multiple types of pigment, not just melanin. Since all pigment cell-types differentiate from the same multipotent precursor cell-type, leucism can cause the reduction in all types of pigment. This is in contrast to albinism, for which leucism is often mistaken. Albinism results in the reduction of melanin production only, though the melanocyte (or melanophore) is still present. Thus in species that have other pigment cell-types, for example xanthophores, albinos are not entirely white, but instead display a pale yellow colour. More common than a complete absence of pigment cells is localized or incomplete hypopigmentation, resulting in irregular patches of white on an animal that otherwise has normal colouring and patterning. This partial leucism is known as a "pied" or "piebald" effect; and the ratio of white to normal-coloured skin can vary considerably not only between generations, but between different offspring from the same parents, and even between members of the same litter. This is notable in horses,cows, cats, dogs, the urban crow and the ball python but is also found in many other species. A further difference between albinism and leucism is in eye colour. Due to the lack of melanin production in both the retinalpigmented epithelium (RPE) and iris, albinos typically have red eyes due to the underlying blood vessels showing through. In contrast, most leucistic animals have normally coloured eyes. This is because the melanocytes of the RPE are not derived from the neural crest, instead an outpouching of the neural tube generates the optic cup which, in turn, forms the retina. As these cells are from an independent developmental origin, they are typically unaffected by the genetic cause of leucism. Leucistic red-tailed hawk (Buteo jamaicensis) - photo by Greg Hume - Leucistic hawk cared for at Cincinnati Raptor Inc.
Take a look at the new designs for the Anzac Parade Light Rail project. The newly revealed line, which includes a brand new station close to the Sydney Football Stadium and the Sydney Cricket Ground, begins at Central Station and will travel through Surry Hills. The light rail will travel in a tunnel under Moore Park and Anzac Parade. Minister for Transport and Infrastructure Andrew Constance said this station will be a key stop along the 12 kilometre route, giving fans access to all our iconic sporting events. “This is home to rugby league, rugby union, AFL, cricket, major events, concerts and an array of spectacles that will make this a major destination for light rail customers,” Mr Constance said. Construction of the Sydney Light Rail project is underway on more than half of the route and all major construction of the 12-kilometre light rail route from Circular Quay to Randwick and Kingsford will be completed and operating in 2019. Visit the interactive map on the Sydney Light Rail project website. Top: Moore Station - Artists illustration. UNSW Professor Minoti Apte is internationally renowned for her research into pancreatic pathophysiology and cancer. In Sydney today, the head of the world’s nuclear agency visited one of its emerging nuclear facilities – the new ANSTO Nuclear Medicine plant that will soon produce international-scale supplies of nuclear medicine. Director General of the International Atomic Energy Agency (IAEA), Yukiya Amano (pictured above left), was at the Australian Nuclear Science and Technology Organisation (ANSTO) to be briefed on the status of construction. The combination of the nearly complete $168.8 million ANSTO Nuclear Medicine Project (ANM) and the OPAL research reactor are two parts of an equation that will take Australian nuclear medicine all around the world. Nuclear medicine is a vital element of modern medical systems and in Australia it is sourced from OPAL, enabling diagnosis and treatment of a variety of cancers, and heart, lung and skeletal conditions. This Friday, on the eve of Science Week, OPAL will celebrate ten years since it first went critical, marking a decade of landmark research infrastructure and one of Australia’s most significant science investments. CEO Dr Adi Paterson (pictured above right) said it was a privilege to host the Director General, and to tell him about the milestones achieved over the OPAL reactor’s first decade, and pending in the very near future from Australia’s nuclear agency. “Since OPAL achieved its first sustained nuclear chain reaction, it has produced millions of doses of nuclear medicine used by one in two Australians at some point in their lifetime,” said Dr Paterson. “Reactors such as OPAL are the only reliable way of producing the nuclear medicine molybdenum 99 (Mo-99) at the quality and scale needed by hospitals and nuclear medicine centres around the world. Paterson said that while the nuclear medicine role is critical for ANSTO, it has been an overall decade of achievement for Australia’s OPAL reactor, and has a bright future ahead. “Every week, OPAL assists industries in finding solutions, improving agricultural yields, conducting environmental studies and producing the major components of green energy,” he said. “At ANSTO our significant achievements of the past sit alongside our vision for the future, as Mr Amano saw today, visiting the construction site of Australia’s $168.8 million investment in nuclear medicine for the world. “The ANSTO Nuclear Medicine project is about the future – focused towards producing at a capacity to supply 25 per cent of the global demand for nuclear medicine by the end of 2017. Dr Paterson said ANSTO’s history and experience in nuclear science and technology, and particularly the production of nuclear medicine has seen the development of a hub of expertise at Lucas Heights. “The nuclear science expertise developed in the last decade can be attributed to the international attraction and world class research possible thanks to OPAL, and soon ANM will be greatly adding to this,” he said. Dr Shamsi Shekari, from QUT's Centre for Accident Research & Road Safety - Queensland (CARRS-Q) presented her findings at the 2016 International Conference on Traffic and Transport Psychology held in Australia this month. CARRS-Q and Griffith University co-hosted the event which brought together international experts from across the globe to share the latest in road safety research with the aim of reducing road trauma. As part of her PhD, Dr Shekari tested the novel and potentially effective use of bright light, using commercially available light glasses that emit a shortwave blue-green light, and caffeinated chewing gum on young drivers aged 18-25 in a driving simulator to see if it increased alertness during daytime driving. "Light therapy is being used to adjust a person's circadian rhythm in shift workers and pilots and offers the potential to reduce sleepiness," she said. "The study found there was a significant effect on driving performance, mostly when caffeine was used alone or combined with light. "Drivers who were given just caffeine, or light and caffeine together had decreased side to side movement of the steering wheel and the vehicle, indicating better control of the vehicle and higher alertness. "Drivers who were feeling some signs of sleepiness after sleep loss, felt less sleepy after receiving either light or caffeine, and even felt rather alert after receiving the combination of both." Dr Shekari said the two-week study included monitoring sleep-wake patterns, with a normal eight hours of time in bed in the first week being reduced by to seven hours in the second week to produce chronic sleep deprivation in the participants. "On the last three days participants took test sessions which involved recording their brain and heart activity, reaction times, assessment of their sleepiness and two 50km-long simulated drives each day," she said. "To compare the effectiveness of the countermeasures, all participants were provided with inactive chewing gum and light in the first drive and randomised active chewing gum and light in the second drive." Dr Shekari said driver sleepiness accounted for 20 per cent of all crashes in developed countries, and young drivers were at an increased risk of chronic sleep deprivation. "This is due to later brain development and social factors such as friends, work patterns and increased use of drugs and alcohol, all of which impact on sleep," she said. Dr Shekari said while her study had revealed promising results of the use of light and caffeine to improve driver alertness, more research was needed. "CARRS-Q is now undertaking a study on the effect of sleep loss and caffeine on driving where we want to learn more specifically about the effect of daytime sleepiness and caffeine on driver performance," she said. The above is reprinted from materials provided by Queensland University of Technology. Australian genomics researchers have announced the development of Sequins -- synthetic 'mirror' DNA sequences that reflect the human genome. This intuitive new technology, which can be used to better map and analyse complexity within the genome, is freely available to the academic research community. The human genome is a vastly complicated sequence that contains more than 6 billion DNA 'letters' (the bases A, C, G and T). Although we can now sequence a person's genome relatively cheaply and quickly, the subsequent analysis of the human genome is a much deeper and more difficult problem. In a bid to improve the quality of genomic analysis, scientists at Australia's Garvan Institute of Medical Research have developed a new technology based on synthetic human genome sequences called 'Sequins'. The Sequins technology is described in two linked studies published in the scientific journal Nature Methods. "Human genome sequencing is transforming biomedical research and healthcare," says Dr Tim Mercer, of Garvan's Genomics and Epigenetics Division, who led the development of Sequins. Dr Mercer and his team came up with the idea of adding Sequins, small stretches of synthetic DNA, to a patient's DNA sample during sequencing. These Sequins (or sequencing spike-ins) then act as internal standards, helping researchers analyse the large data files that are generated during genome sequencing. Dr Mercer says the Sequins technology is based on an intuitively simple concept -- the notion of mirror-image DNA. "Sequins are, essentially, mirror images of natural DNA sequences. Like us, the genome has a 'handedness', and just as our right hand differs from our left hand, sequins differ from natural genome sequences. So sequins behave just like natural genome sequences, but they can be easily recognised as synthetic." Dr Mercer says, "A whole series of steps, first in the lab and then on the computer, are required to sequence a person's genome or the genes that are expressed in different cells. Sequins are with the person's DNA every step of the way: responding just as real DNA does at each step, yet unmistakably different from that real DNA. This allows a scientist to assess, and optimise, these different steps." Because sequins are added to each individual sample, they can provide a sample-by-sample assessment -- something that has not previously been possible. "Sequins bring DNA sequencing to clinical standard, and will be an essential platform for genomic research and medicine," said Garvan's Executive Director and co-author of the studies, Professor John Mattick. "We invite academics to get in touch and we can send them some Sequins for their genome research. We're keen to get this technology out into other labs, in Australia and worldwide." "This is another important step in advancing Garvan's mission to bring genomics to the clinic," said Professor Mattick. Scientists have identified four new pathogens previously not found in Australian chillies, raising the stakes for the country's quarantine and disease resistance efforts. The pathogens, all part of the Colletotrichum species, cause a fungal disease called anthracnose, which lowers yield and produces large, sunken black spots on a variety of fruits and vegetables. While anthracnose already exists in Australia, the discovery of four new pathogens in chillies raises important new questions about how to better protect Australia's horticultural industry. The pathogens have a broad host range, meaning they are able to infect other fruits and vegetables, but particularly tropical fruits such as papayas and mangoes. Professor Paul Taylor, from the Faculty of Veterinary and Agricultural Sciences, said the discovery highlights the need for an effective and efficient diagnostic quarantine system in Australia. "Before this study, there were only two species of Colletotrichum thought to exist In chilli here," he said. "The identification of four new ones suggests we need to keep a closer eye on the status of existing pathogens, otherwise our billion-dollar agriculture export industry is at risk." Professor Taylor and his PhD student Ms Dilani de Silva, analysed infected chilli fruits from southeast Asia and Queensland, which is the hub of production in Australia. The state produces about 40,000 tonnes of chilli and capsicum over 1,722 hectares a year. Using molecular techniques and classical taxonomy, the research team identified three Colletotrichum species not found before in Australian chillies (but previously in avocados and papayas) and another never before identified. The new species is C. cairnsense, while the three new to chilli fruit are: C. siamense, C. simmondsii and C. queenslandicum. At the moment, growers in Australia manage anthracnose with fungicides, but the identification of the new pathogens will contribute to efforts to build disease resistance in chilli plants. "This disease is particularly hard to control because of the number of pathogens that make it up," Professor Taylor said. "On the positive side, our analysis did not detect C. scovillei, which has caused major problems in southeast Asia and has spread heavily throughout Indonesia, Malaysia, Thailand and Taiwan. "With further research we can hopefully prevent the incursion of new exoticColletotrichum species into Australia." Professor Taylor would like to see more expansive surveying of chillies to allow for the identification of pathogens, as well as the development of tests that will make diagnoses even easier. "Identification and monitoring of pathogens is the only way to mitigate chilli disease in Australia," he said. "There is a real lack of tools available right now to industry and quarantine personal that we need to address." The study has recently been published in the journal, Plant Pathology. New lung scanning technology developed at Monash University has the potential to transform treatment for millions of people with lung disease in Australia and around the world. A four-dimensional lung scanning platform developed at Monash University by Professor Andreas Fouras has been commercialised by his medical technology company 4Dx. The scanning platform is now giving a Monash-led research team new insights into improved treatment. Dr Rajeev Samarage, joint lead author from Monash's Laboratory for Dynamic Imaging said the technology would potentially help millions of people. "Monash has a long record of working with industry to apply deep research into practical commercial applications. With this technology, not only will clinicians have a clearer image of what is happening in the patient's lungs, but it is our aim to detect changes in lung function much earlier than in the past, which will allow clinicians to quantify the effects of treatment by simply comparing measurements from one scan to the next," said Dr Samarage. Published in the international journal Scientific Reports, the research involved 4Dx, Monash University, the Women's and Children's Hospital South Australia, University of Heidelberg and University of North Carolina at Chapel Hill. Chairman and CEO of 4Dx Professor Fouras said the 4Dx pre-clinical scanner generates high-resolution images of lung-tissue motion and airflow throughout the lungs, which allows investigators to view and measure abnormal function in specific areas of the lung, before a disease progresses and spreads. "Current tools are out of date and require two or three pieces of diagnostic information to piece together what is happening in someone's lungs. Our game-changing diagnostic tool offers images of the breathing lungs, making it possible to see what is really important -- not what they look like -- but how they work," Professor Fouras said. Professor Greg Snell, Head of Lung Transplant Service at the Alfred hospital said it was a significant step. "This technology has great potential as a new tool for both early diagnosis and management of many very common lung conditions. I think this will be the start of a new way of thinking about diagnostic imaging." Cystic Fibrosis Victoria CEO Karin Knoester said it was an important tool to help people treat and manage their condition. "Any tool that can identify damage at an early stage will be able to inform intervention, with the hope of reducing further damage." One of the stone tools (a blade that tested positive for rhino residue). The research team from UVic and partner universities in the US and Jordan has found the oldest evidence of protein residue -- the residual remains of butchered animals including horse, rhinoceros, wild cattle and duck -- on stone tools. The discovery draws startling conclusions about how these early humans subsisted in a very demanding habitat, thousands of years beforeHomo sapiens first evolved in Africa. The team excavated 10,000 stone tools over three years from what is now a desert in the northwest of Jordan, but was once a wetland that became increasingly arid habitat 250,000 years ago. The team closely examined 7,000 of these tools, including scrapers, flakes, projectile points and hand axes (commonly known as the "Swiss army knife" of the Paleolithic period), with 44 subsequently selected as candidates for testing. Of this sample, 17 tools tested positive for protein residue, i.e. blood and other animal products. "Researchers have known for decades about carnivorous behaviours by tool-making hominins dating back 2.5 million years, but now, for the first time, we have direct evidence of exploitation by our Stone Age ancestors of specific animals for subsistence," says Nowell. "The hominins in this region were clearly adaptable and capable of taking advantage of a wide range of available prey, from rhinoceros to ducks, in an extremely challenging environment." "What this tells us about their lives and complex strategies for survival, such as the highly variable techniques for prey exploitation, as well as predator avoidance and protection of carcasses for food, significantly diverges from what we might expect from this extinct species," continues Nowell. "It opens up our ability to ask questions about how Middle Pleistocene hominins lived in this region and it might be a key to understanding the nature of interbreeding and population dispersals across Eurasia with modern humans and archaic populations such as Neanderthals." Another result of this study is the potential to revolutionize what researchers know about early hominin diets. "Other researchers with tools as old or older than these tools from sites in a variety of different environmental settings may also have success when applying the same technique to their tools, especially in the absence of animal remains at those sites," adds Nowell. The National Museum of Australia is acquiring the historic Bedford truck which was used to deliver supplies and correspondence to the Aboriginal stockmen, domestic workers and families who walked off ‘Wave Hill’ station in August 1966 in the Northern Territory, as a protest against unfair wages. Bedford truck. Photo: Brenda L Croft. Their seven-year strike eventually culminated in the handover of a portion of the land. This moment was made symbolic in 1975 when the then Prime Minster Gough Whitlam poured a handful of red earth into the hands of Vincent Lingiari, a leader of the Gurindji people. The now famous photograph of this moment symbolised the Gurindji people’s historic struggle. The late Aboriginal rights campaigner, Mr Brian Manning, was one of the first to assist the strikers, and used his 1960s TJ Series Bedford truck to regularly deliver supplies and correspondence to the striking Gurindji people. The truck was listed in the Northern Territory Government Heritage Register in 2010. It was offered as a donation to the National Museum of Australia in 2015. The Museum has worked with the present owner Kerry Gibbs and local Indigenous community representative Brenda Croft, and the Northern Territory Government (Department of Lands, Planning and the Environment) to gain approval to transfer the heritage vehicle to the National Museum where it can be conserved and made accessible to all Australians. The Museum will continue to consult with Indigenous people about the most appropriate ways to conserve and display this important vehicle. The truck will be stabilised for travel and is expected to arrive in Canberra before the year’s end. ‘We are honoured and proud to be asked to care for this important historic vehicle,’ said National Museum Aboriginal and Torres Strait Islander Program head, Patricia Williamson. ‘From 1966 the truck played a key role in supporting the Gurindji people in their nine year struggle to gain land rights and Brian Manning’s support helped the Gurindji face their hardships and strengthen the resolve of those involved, said Ms Williamson. ‘Even today members of the Gurindji, Malgnin, Warlpiri, Mudburra, Ngarinman and Bilinari Aboriginal groups living at Kalkarindji and Daguragu in the Northern Territory, see the truck as a significant symbol of their struggle to obtain autonomy and rights over their land,’ said Ms Williamson. In March 1966, the Australian Arbitration Commission determined that Aboriginal and Torres Strait Islander workers should be paid equal wages. However, this was not due to come into effect for three years. The decision sparked several small strikes around Australia. On the Vestey property ‘Wave Hill’ – one of the largest pastoral stations in the Northern Territory – Aboriginal people were dismayed and angry. When their spokesperson, Vincent Lingiari (a Gurindji man) asked the station master in August for full wages and was refused, he led Gurindji, as well as Ngarinman, Bilinara, Warlpiri and Mudbara stockmen, domestic workers and their families in a strike and walked off the station. The strike was to last 7 years. Although prompted by a call for fair wages, the primary demand of the Gurindji was to have their land returned to them. The strike became one of the first events to attract wide public support for Indigenous land rights in Australia. Prime Minister Gough Whitlam gained agreement from the Vesteys to give the Gurindji back a part of their land and a new lease was developed. The formal handback took place on 16 August 1975 and is recognised as a landmark achievement in the Indigenous land rights movement in Australia. Aboriginal rights campaigner, Mr Brian Manning, was one of the first to assist the strikers, and used his 1960s TJ Series Bedford truck to regularly deliver supplies and correspondence to the striking Gurindji people from 1966 through their nine year struggle to gain land rights. Five industry-led projects will receive up to $9.2 million to help entry level and qualified trades people get into the labour market. Assistant Minister for Vocational Education and Skills, Karen Andrews MP, said vocational education and training (VET) was critical to ensuring Australia had the skilled workforce it needed for economic growth, competitiveness and productivity. “The government is committed to a high quality VET system that ensures students are trained in skills for real jobs. That means placing employers at the centre of the training system, and making the training system responsive to industry needs. Minister Andrews said three initial priority pilot projects were being funded with activities planned for Adelaide, Sydney, Bunbury, Hobart, Cairns, Brisbane, Melbourne and several other areas. “Master Builders Australia, the National Electrical and Communications Association, and North East Vocational College will each run pilot projects in industry areas including building and construction, electrical and communications,” she said. Applications recently closed for a competitive funding round for two further pilot projects, to be announced later this year. All pilots will conclude in 2018 and will be evaluated to assess their potential for adoption more broadly by industry. “The Government is committed to involving industry in the design of apprenticeships and other skills training,” Minister Andrews said. “As part of that commitment, I am releasing a report which makes 22 recommendations for the reform of Australia’s apprenticeships system. “The report was developed by a high-level Advisory Group comprising industry, government and VET sector representatives and covers areas including pre-apprenticeships, incentive arrangements, alternative models of delivery and broader system improvements. “The report will provide the basis for my discussions with state and territory skills ministers and sector stakeholders on potential future reform options. “It is vital that Australia’s apprenticeships system continues to deliver highly skilled and qualified workers into businesses and industry, to meet the evolving needs of the national economy,” Minister Andrews said. Minister Andrews said the Australian Government already had taken action in a number of areas examined by the Advisory Group. “In addition to testing alternative apprenticeship delivery models, we have also funded a $6.82 million pilot of multi-industry pre-apprenticeship models that are giving young people in Victoria, New South Wales and Tasmania hands-on industry experience and a pathway into an apprenticeship or traineeship,” she said. Three Australian research satellites – two of them built at the University of New South Wales – will be launched to the International Space Station this year and deployed into orbit to explore the little-understood region above Earth known as the thermosphere. The trio is part of an international project known as QB50, which will see a total of 50 small satellites – known as cubesats and weighing just a kilo each – carry out the most extensive measurements ever undertaken of the region between 200 and 380 km above Earth. The three satellites are ACSER’s UNSW-Ec0, which will study the atomic composition of the thermosphere; INSPIRE-2, a joint project between the University of Sydney, UNSW and the Australian National University which will measure the electron temperature and density of plasma in the region; and SUSat, a joint project between by the University of Adelaide and the University of South Australia. All three satellites, along with 40 other QB50 cubesats, will be launched to the International Space Station in December by an Orbital ATK Antares rocket from Wallops Island, Virginia, inside a Cygnus cargo freighter. The cubesats will be deployed from the ISS between a month or so after arrival, and drift down from the ISS’s orbit of 380 km toward the target region. Each cubesat also carries other instruments with its own engineering and scientific goals. UNSW-Ec0, for example, has three other experiments: a robust computer chip designed to avoid crashing in the harsh radiation of space, as some satellites and space probes are forced to do when hit by cosmic rays; a space-borne GPS to allow satellites to cluster together in swarms; and test a super-reliable computer microkernel in the harsh radiation of space. UNSW-Ec0’s chassis is made entirely from 3D-printed thermoplastic, itself an experiment to test the reliability of using 3D-printing to manufacture satellites, making them cheaper. It’s the first time an Australian-made satellite has gone into space since FedSat, a 58kg experimental microsatellite, was launched from Japan’s Tanegashima Space Centre in 2002. The Hon. Greg Hunt MP, Minister for Industry, Innovation and Science, announced today that he had signed the Overseas Launch Certificates permitting the satellites to go into space. Australia will honour the service and sacrifice of Australian soldiers involved in the Battle of Lone Pine 101 years ago today. Planned as a diversion to draw Turkish forces away from the major objectives of the August offensive on Gallipoli, the Battle of Lone Pine resulted in some 2,200 Australians being killed or wounded while the Turkish forces suffered more than 6,000 casualties. Minister for Veterans’ Affairs Dan Tehan said the Battle of Lone Pine, fought between 6 and 9 August 1915, was an important part of the Anzac story. “Seven Victoria Crosses were awarded to Australian soldiers for their bravery in the battle, including two posthumous awards,” Mr Tehan said. “Australian soldiers charged the Turkish trenches at 5.30pm on 6 August, following an artillery barrage. They captured the Turks’ forward trenches relatively quickly. However, the next four days saw a series of Turkish counter-attacks that involved some of the most brutal hand-to-hand combat experienced by Australians in the First World War. The Australian Ambassador to Turkey, James Larsen, will lay a wreath at the Lone Pine Memorial and Cemetery at 10am local time (5pm AEST) today. Soldiers from five Australian Army light horse units commemorated the centenary of the Allies’ first large-scale land victory of World War One in a ceremony on Anzac Parade in Canberra today. Fought near the Egyptian town of Romani on the Sinai Peninsula from 3 to 5 August 1916, the Battle of Romani saw the Anzac Mounted Division and British 52nd (Lowland) Division defeat a larger German and Ottoman force. Deputy Chief of Army, Major General Rick Burr, DSC, AM, MVO, said the battle was a major turning point for the Allies in the war. “The victory at Romani came after the Allies had suffered set-backs on almost every front, so it was a crucial victory,” Major General Rick Burr said. “Commander of the Anzac forces, General Chauvel, later said the victory at Romani changed the whole face of the campaign in Egypt and led to the departure of German and Turkish troops from the theatre. “Australian light horsemen suffered the most casualties and were described by British commander General Murray as having been the keystone to Egypt’s defence, showing indescribable gallantry, steadfastness and untiring energy. The battle honour ‘Romani’ is proudly displayed on the regimental colours of six Australian Army units, and the Royal Military College at Duntroon has named one of its company’s ‘Romani Company’ in honour of the battle. 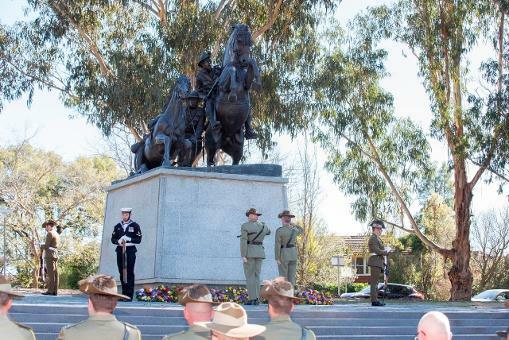 The commemorative ceremony was held at the Desert Mounted Corps Memorial on Anzac Avenue, which is a second casting of an original statue first erected in Port Said, Egypt, to honour the Anzacs. The Australian War Memorial will also mark the 100th anniversary of the Battle of Romani at its Last Post ceremony this evening. Photo: Deputy Chief of Army, Major General Rick Burr, DSC, AM, MVO, joined soldiers from four Australian Army light horse units in Canberra on Friday, 5 August 2016 to commemorate 100 years since the Allies’ First World War victory at the Battle of Romani. Fought near the Egyptian town of Romani on the Sinai Peninsula from 3–5 August 1916, the Battle of Romani saw the Anzac Mounted Division and British 52nd (Lowland) Division defeat a larger German and Ottoman force. Victory at Romani came after the Allies suffered set-backs on almost every front, making it a crucial victory. It was also the first large-scale land victory for the Allies in the war. Australian light horsemen suffered the most casualties during the battle, but were described by British commander General Murray as having been the keystone to Egypt’s defence, showing indescribable gallantry, steadfastness and untiring energy.